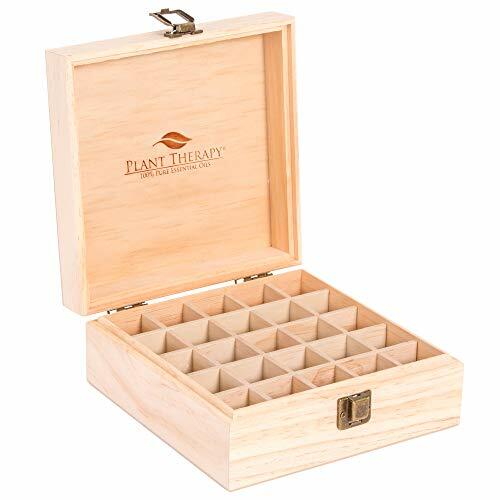 Securely store and display up 25; 5 mL, 10 mL, and 15 mL essential oil bottles in this beautiful wooden organizer box. 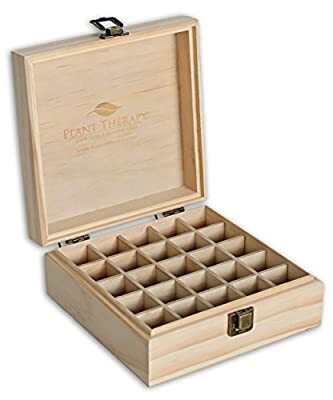 Even though this box is not tall enough to fit roller bottles, Plant Therapy offers a variety of other wood cases to accommodate them. 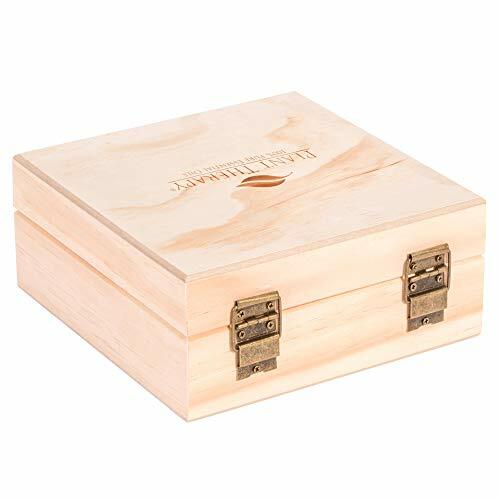 The wood box will protect essential oils from the damaging rays of the sun. The metal clasp on the front of the small box will keep the box securely closed, perfect for travel. The metal hinges will keep the lid propped open making it easy for you to find the oil you’re looking for. If you have an extensive collection of oils, then this high-quality display case is a great way to keep all of your oils neat and organized. 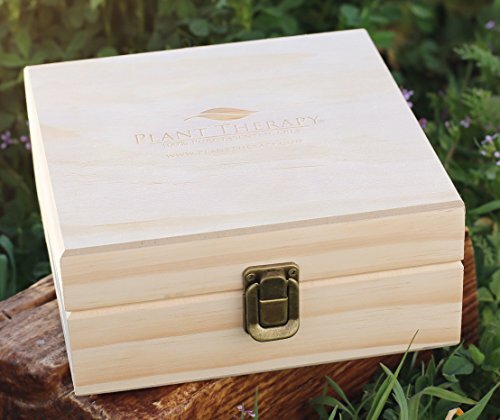 It also makes a fantastic gift idea for the essential oil enthusiast in your life. We offer a vast selection of oils and blends in a variety of sizes. The 2.5 mL, 5 mL, and 10 mL sizes are the perfect amount to test the waters. Our 30 mL bottle is a popular size for those that know just how well our oils work. The 100 mL value size is cost effective and easy on the budget. For ultimate convenience, try our handy Roll-Ons. These are pre-diluted and ready-to-use. CUSTOM DESIGNED FOR THE ESSENTIAL OIL ENTHUSIAST - Fits up to 25 bottles 5-15ML in size. Won't fit roll-on bottles. COMPACT & LIGHTWEIGHT - Weighs 1lb 4oz making it easy to transport PROTECTION & SECURITY - Prevents your oils from damaging sunlight. Metal clasp adds extra security. 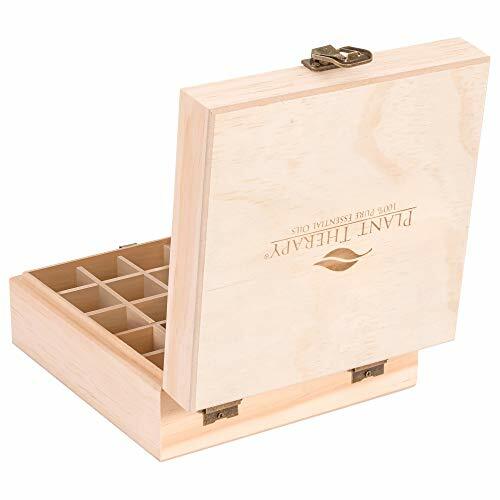 PERFECT GIFT - Beautiful display case is perfect as a gift for yourself or anyone who loves essential oils. 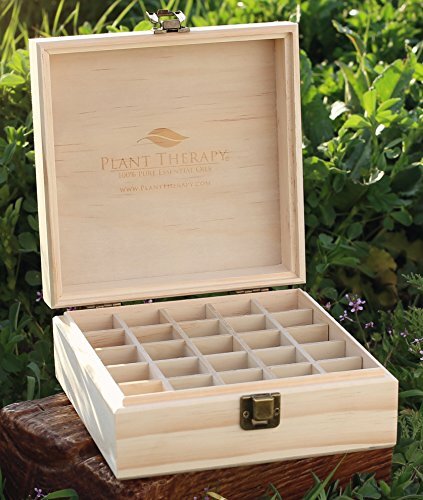 PLANT THERAPY QUALITY - Logo custom engraved on the top of box and inside the lid.